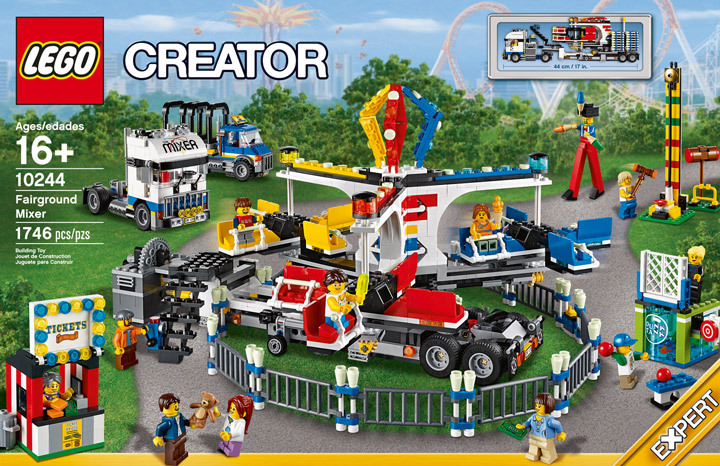 Lego has recently announced the new Lego Creator set, the Fairground Mixer (10244). A great complimentary set for the Grand Carousel (10196). The Fairground Mixer arrives aboard a huge truck, along with all the other pieces for a traveling carnival. The Mixer ride can be unfolded from the truck, and in a few easy steps it can be ready to ride. The ride features some ingenious mechanicals allowing it to spin and turn with the help of a hand crank. If that seems too laborious, then you can hook up your own Lego Power Functions for a fully automated experience. 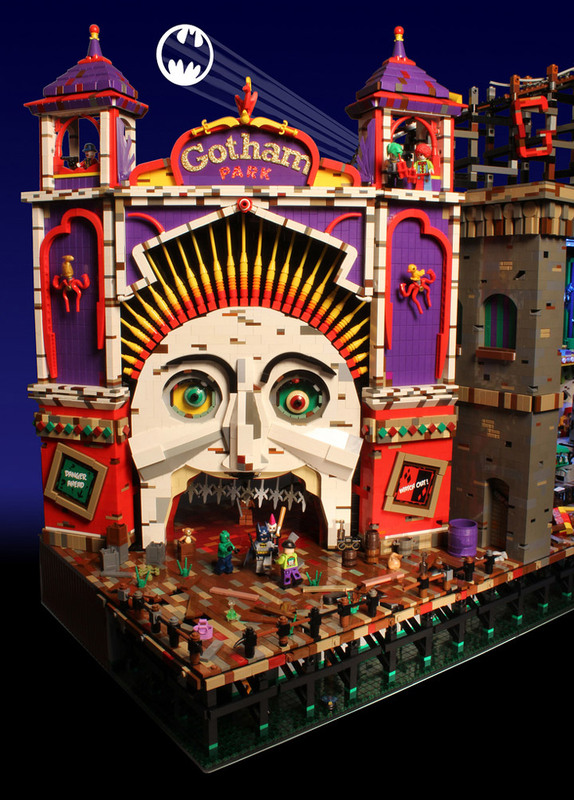 The Fairground Mixer will include 1,746 pieces at $149.99. It will be available this June, 2014. The Fairground Mixer comes with a whole lot of other stuff too. A ticket booth, a dunk tank, and a strongman game (high striker). All of this can be packed up on the two include trucks for easy transportation. 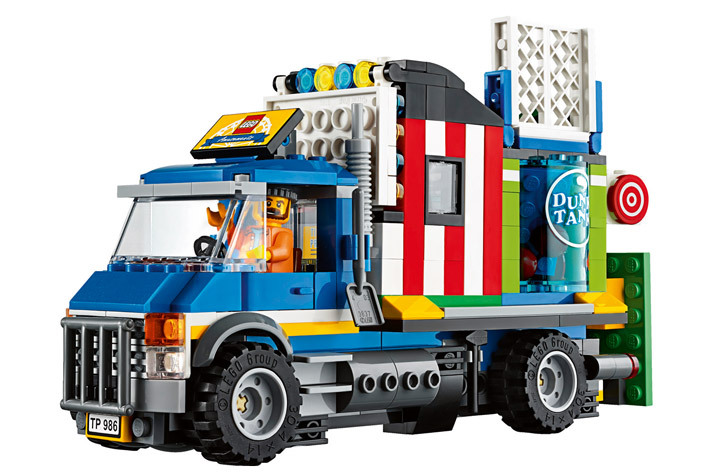 These two trucks are really neat, and Lego has done a great job squeezing all of the rides and details onto these fully functioning vehicles. What would a traveling carnival be without the crowds. 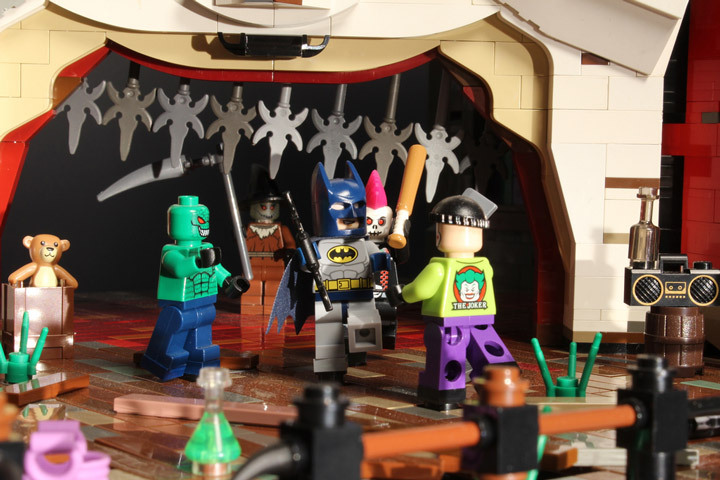 Lego has included 12 Minifigures, which seems to be very generous (compared to their other recent releases). There is the quintessential queasy man who is holding it all back after a ride on the Mixer. A female carnival guest and two children (boy and girl). There is also another female guest ready for some fun. A strong man challenger. A truck driver/ride operator. And, a juggling man/carnival employee. Finally there is the ticket booth operator, two more children (boy and girl) and the dunk tank lady. 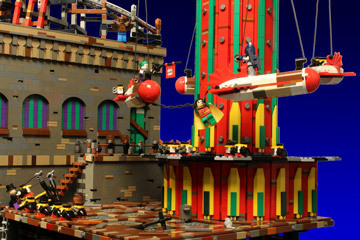 “Climb aboard the LEGO® Fairground Mixer and hold onto your hat! 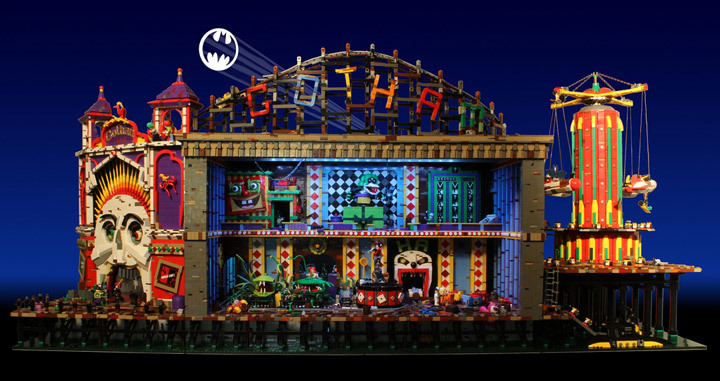 Lego has announced its latest entry in the Winter Village theme. 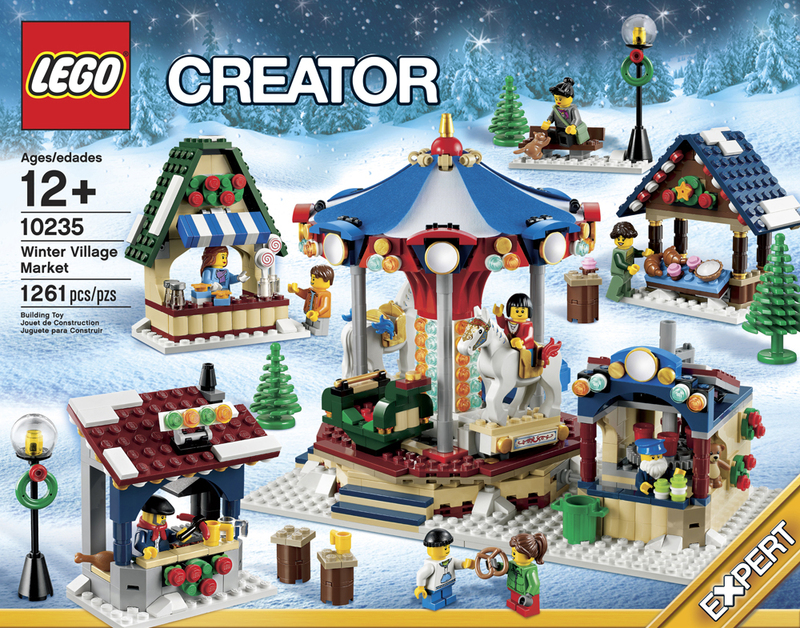 The Lego Winter Village Market (10235) will be available in October, just in time for the upcoming holiday season. 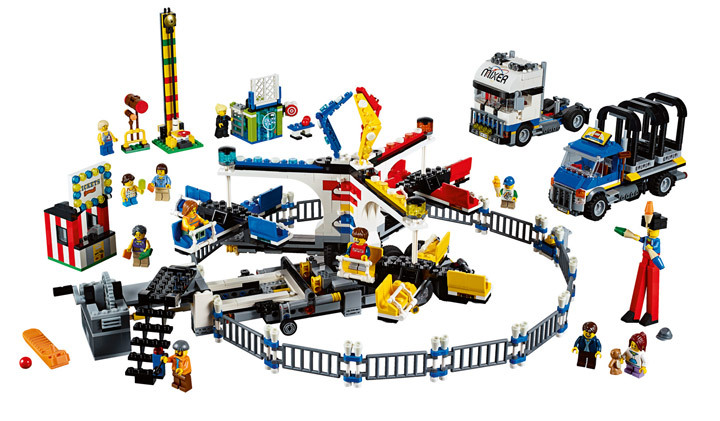 This new set will come 1,261 pieces and be part of the Lego Creator theme. 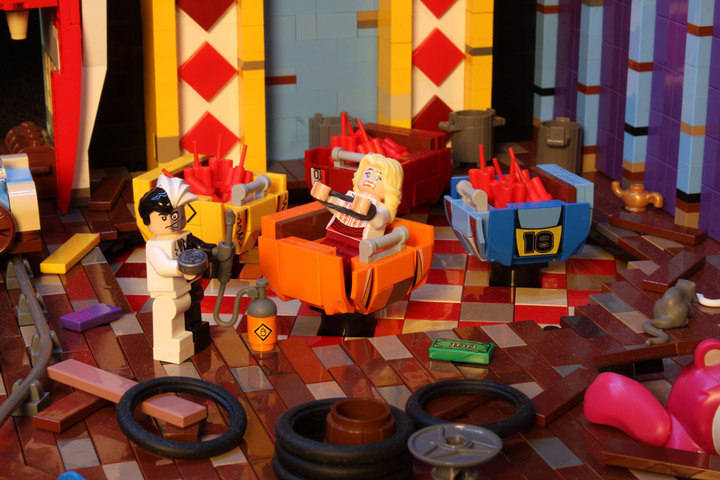 The whole set will include 9 minifigures, with Lego specifically calling out that there will be 3 females, 2 males, and 4 children. Sadly most of these minifigs have been seen in other previous sets. This Winter Village is actually a Winter Carnival. 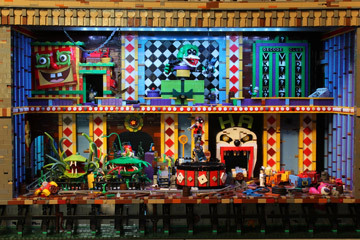 Featuring a brick built Merry-Go-Round, Bucket Challenge carnival game, and 3 food stands. The Carousel includes two horses, with some extremely lovely bridle printing. This set is great for filling in your Winter Village with more life and activity. 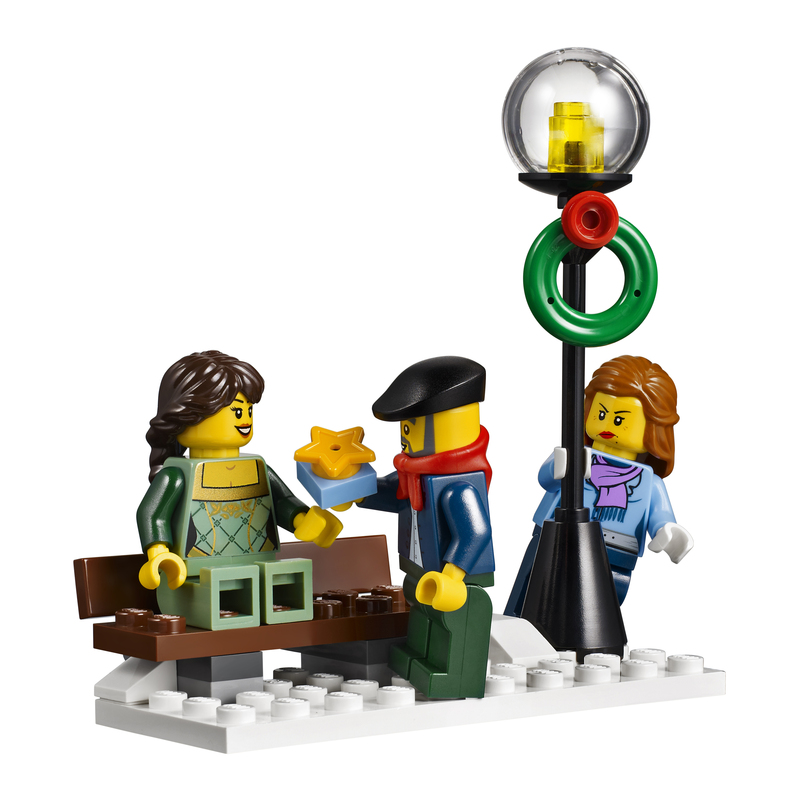 It is not too late to build your own Lego Winter Village. Some of the sets from previous years are still available, for instance the Lego Winter Village Cottage (10229) can still be purchased at Amazon .